As a journalist I find covering natural disasters to be amazing and inspiring. So many stories are revealed amidst the staggering force of earthquakes, floods, tornados, hurricanes and wildfires. Even more awesome to witness is the force of the human spirit during such calamities. Natural disasters always bring out the best in people and communities. Despite devastation and personal tragedies, people rush to the aid of their neighbors. And so I want to thank Art Paterson, who lost the daycare center he and his family built, during the recent Windsor, Colorado tornado. He was a grateful man. 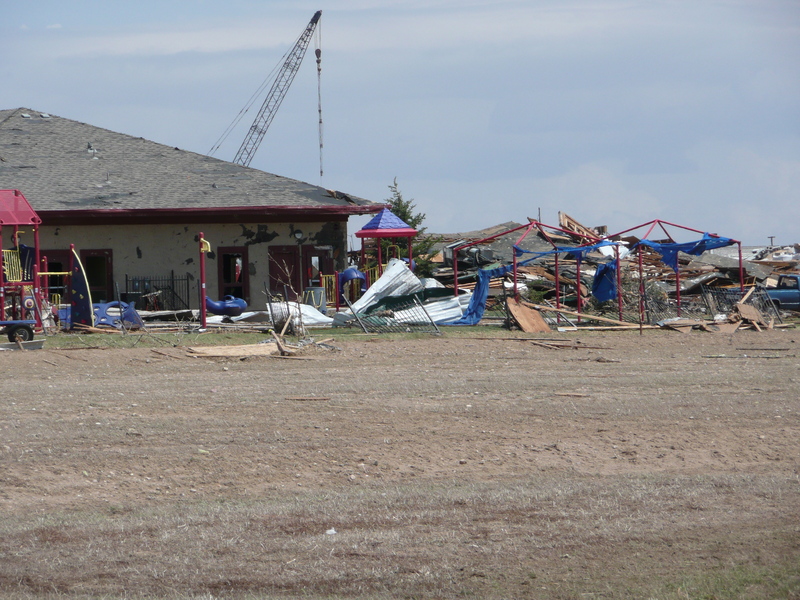 All 130 of the children at the Windmill Child Enrichment Center got out safely when the tornado cut a swath through the town. It’s hard to believe when you see the destroyed building and the mangled playground. Despite his loss he gave this journalist a few gallons of gas. In my rush to get on location I passed up opportunities to fill up and found myself precariously low on fuel. You can work without sleep, even without food and a shower, but you cannot do your job without gas in your car. It was the kind of generosity you see during catastrophes. Despite his loss, Art’s heart was huge and he saved the day for this journalist. He wouldn’t even let me pay him, so Art, please accept my gratitude and best wishes as you and your community recovers. Categories: Colorado, Media, Natural Disasters, Philanthropy | Tags: Art Paterson, Colorado, Natural Disasters, Tornado, Windsor | Permalink.